There’s a Google assistant that wants to give all the other assistants a run for their money. The name is pretty self-explanatory since it is called Google Assistant. It wants to blow Alexa, Siri, and Cortana right out of the water. 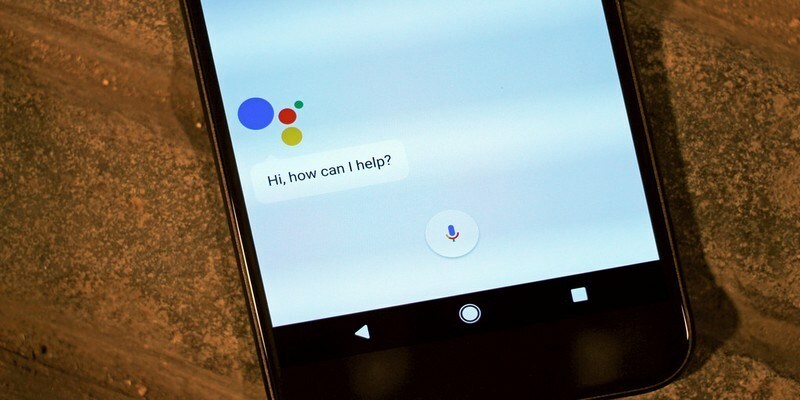 Google Assistant was first presented at the Google I/O in May of last year, and it was only on Google XL and Pixel phones. Google is ready to have their assistant move on to other phones. That’s why it’s a good idea that you get to know what this Google Assistant is capable of doing. 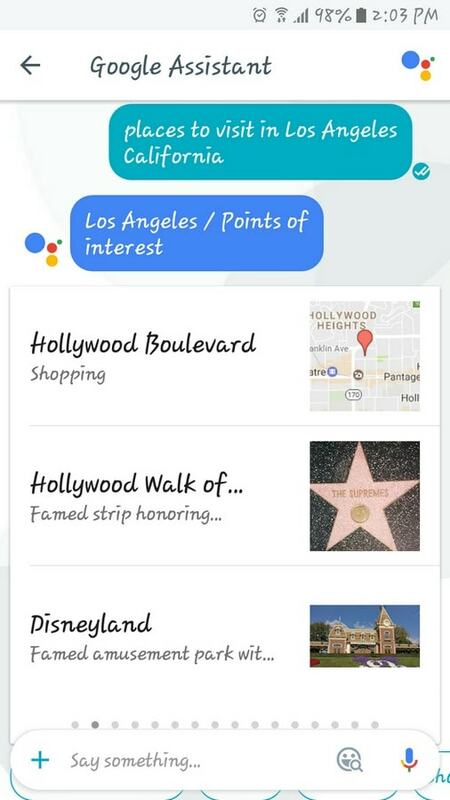 If you’re visiting a particular country but don’t know what points of interest you should visit, let Google Assistant help you. You can say something like, “What places should I visit in Los Angeles, California?” and it will give the most famous places to visit. Vacations are important, so it’s also imperative you know where to go. If you’re searching for emails from a particular sender, looking through the sea of emails you have can be time-consuming. Tell Google Assistant to look up emails from the contact you’re looking for, and it will bring them up. This is a great timesaving tip. All work and no play makes Jack a dull boy. When it’s time to unwind, you can also count on Google Assistant to provide the games you want. Just say “Play Games,” and it will show you different types of games to choose from, such as chat games, quiz games, doodle games, classic games and more. Instant translation can be a useful tool if you’re learning a new language either for pleasure or travel. Simply say, “How do you say [ your phrase here] in [desired language]?” and Google Assistant will show you the translated text instantly. Instead of opening the Calendar app, why not have Google Assistant brief you on your day? Just ask something like, “What do I have to do today?” and Google Assistant will tell you what you have to do. You don’t have to limit yourself to today; you can ask Google Assistant what you have to do on any day, even if it’s more than a month away. Siri isn’t the only assistant that can all you by your nickname. Just tell Google Assistant to call you whatever it is you want it to call you, and from that point on it will always call you that. 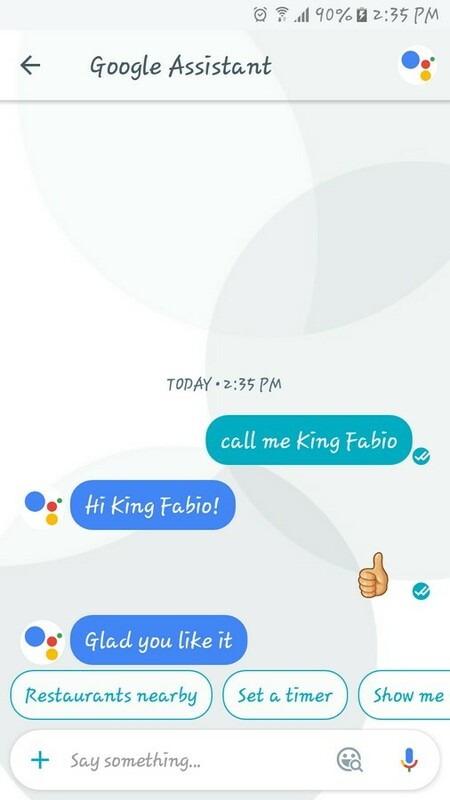 For example, I told Google Assistant to call me “King Fabio,” and that is exactly what it called me. Google Assistant knows that selfies are here to stay and is always ready to take one for you. Just say, “Take a selfie,” and it will ask what app you want to use. This is only if you have selfie apps installed, so you’ll need to choose between them or the stock camera app. Google Assistant is always there for you, and it’s never going to need sleep or a salary. It will never ask you for a day off, which is the best kind of assistant. Make sure to take full advantage of what it has to offer so you can stay organized (if you’re not already). What do you think of Google Assistant? Drop a comment and let us know. 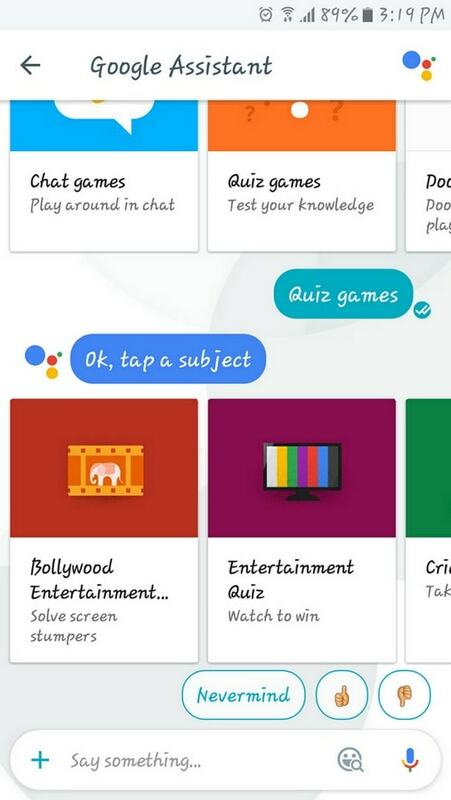 Your best bet would be to install Google Allo that has the Assistant.